Hello readers, here’s another update from behind the scenes of FastKlean Cleaning Company London. We’ve actually got quite a few exciting new projects ahead of us that we will share over the next few days. We recently visited a pub in Mill Hill that is undergoing refurbishment. The owner asked for a quote for our after builders cleaning services. We hope to win this contract so that our construction cleaners London can put the finishing sparkle into this pub ready for its customers to enjoy. Our professional cleaners have delivered remarkable results in recent projects and we’re confident that they will perform equally as well here. If your business building is currently undergoing a revamp or it’s a whole new building then you might need after builders cleaning London to take care of the mess at the end of each construction shift, then a sparkle cleaning once the final brick is laid and the builders have left. 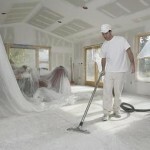 Construction cleaning is no simple task. Dust and debris can get absolutely everywhere and into the most awkward to reach areas. After builders cleaners in London are fully trained and experience. They will use their expert knowledge and state of the art equipment and cleaning supplies to remove every ounce of dirt from the finished construction site, giving the builders less of a workload after a long shift and the property owner less of a worry when it comes to cleaning up once they leave.